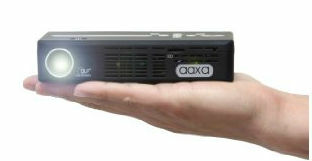 Handheld projector for small room presentations. Rechargeable battery with up to 90 minutes of battery life. The aaxa was originally selected for testing to determine its capabilities and usefulness in small group settings. For this purpose, the aaxa projector excelled. 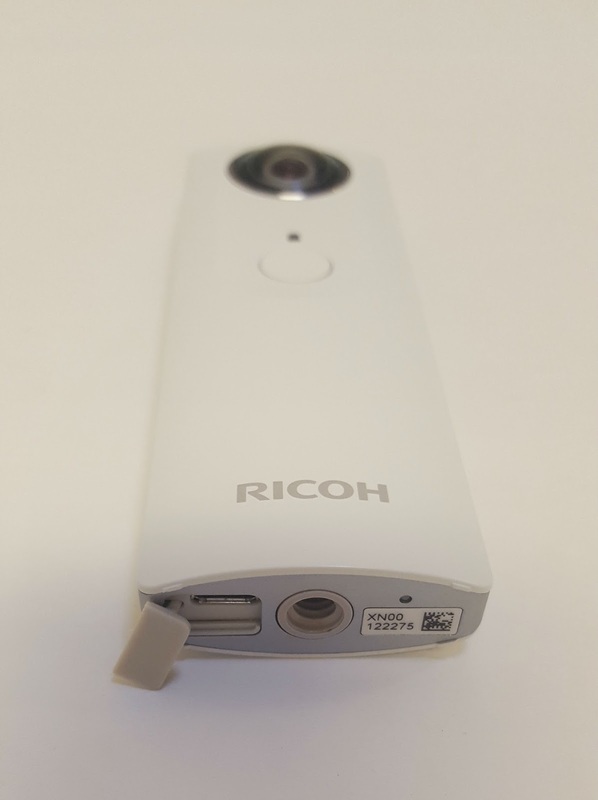 The unit is about the size of a smart phone and easily fits into a pocket or purse. The brightness, while not comparable to a full sized LED projector, was certainly bright enough to display a 2'x3' image in a moderately lit room from a distance of ten feet. Brightness quickly disappears the farther away the projector is from the wall or projection screen. There is also a slight but discernible loss of brightness when on battery power. And using the aaxa in brightly lit rooms could be a challenge. 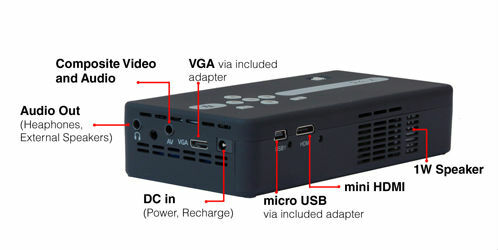 The aaxa comes with mini-VGA and mini-HDMI display inputs, and a 3.5mm AV jack. There is also a headphone jack and mini-USB jack for plugging into an external USB drive. Additional accessories include a mini-tripod, remote control, power adapter, VGA cable, and a mini-USB-to-USB connector. The aaxa supported most document and image file formats including docx, xlsx, ppt, pdf, jpg, and png. Although the product brochure stated that it supported MP4 video format, ID&T testers were unable to get video to play. The aaxa was tested with several smart devices including iPads (both the original 30-pin and the Lightning connector), a Dell Venue Android tablet, and a Samsung S6 Edge. Adapters were used to connect the smart devices to the aaxa. ID&T testers noticed that after approximately ten months of light usage, the mini-HDMI port started intermittently not working. This caused testers to switch to the mini-VGA port exclusively. All images were pulled from the aaxa Technologies website. 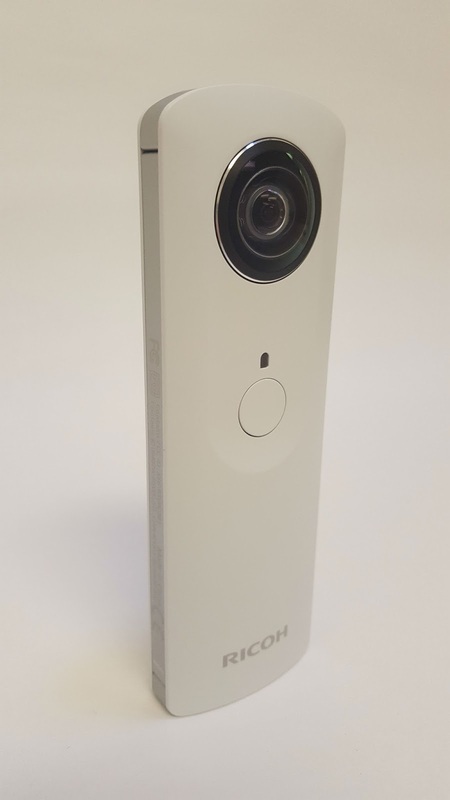 Takes 360 degree images and video that capture up, down, left, and right in a single shot. The view within images and video can be manipulated by dragging the input device (mouse, pointer or finger) to change the angle of view. smaller than most remote controls. 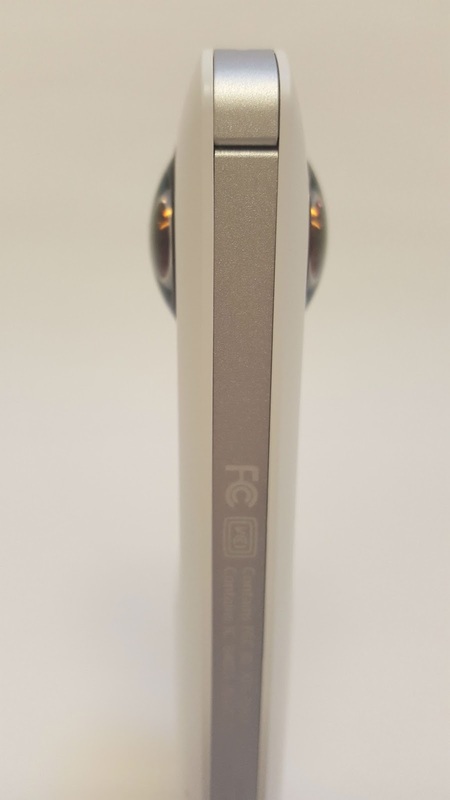 The camera power and wireless buttons are on the side. A mini-USB port and standard tripod mounting hole are on the camera bottom. The camera can be used stand-alone. However, a much improved user experience is available by downloading the free app available for Android and iOS devices as well as Windows and Mac. The app interface allows for remote shooting of both images and video. Images can be immediately seen on the smart device or transferred to a desktop via the desktop app. Taking a picture or starting a video is done by pressing the large button on the face of the camera. The camera beeps once after each image is taken or when starting a video. The app also features “Live view”, for checking white balance and exposure while shooting, as well as live streaming using a separate app. Interface between camera and app leaves a lot to be desired. The Theta S isn’t perfect but an amazing bargain for the money. A great way of adding immersive images and video to the learning experience. 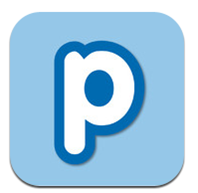 Popplet is a mindmapping tool that uses images and video. 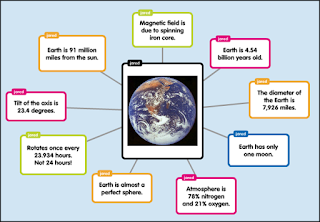 Popplets can be collaborative and shared in a variety of formats including PDF and JPG. Media can be pulled from Flickr, Vimeo, YouTube or your local computer. • Exploration of ideas through brainstorming and mindmapping. • Plan projects using diagrams and process charts. • Record thoughts with journals, notes, and lists. • Collect inspiration such as mood boards, scrapbooks, and travel plans. 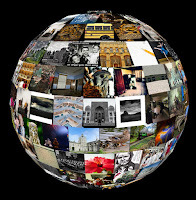 • Create galleries of photo albums, portfolios, or presentations. • Create study aids of school projects or class notes. 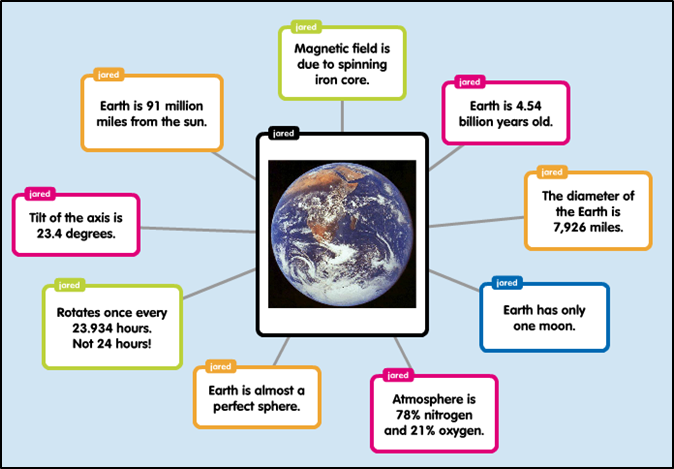 • Create and share topic mind maps. • Create self-concept maps using images and video. 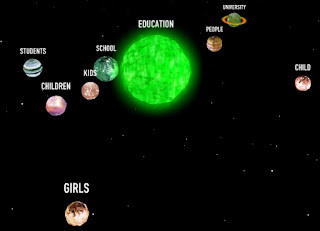 • Map a path to a goal. An easy and inexpensive tool for the creation of visually appealing concept maps. Free version with limited features or $60/year education pricing. Student or instructor classroom presentations. Good for asynchronous presentations as well. Keeping it simple by limiting text and focusing each slide on a single idea. Making it beautiful by using full-bleed images. Tell your story by tapping into one-touch themes, filters, and formatting. Having fun. 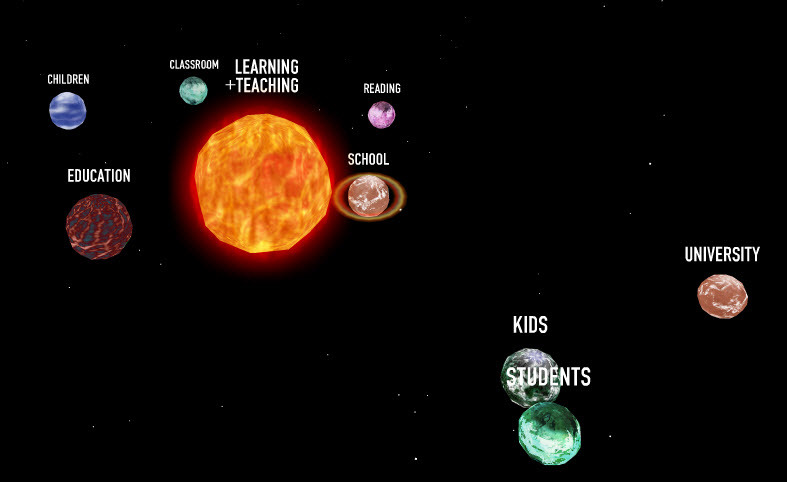 Pitch an idea, teach a lesson, deliver a keynote, or ignite a movement! You can search for images using the included image database or import your own to create appealing charts and graphs. A presentation can be created on a mobile device such as an iPad or Android tablet and then shared on any web-enabled device. Decks can also be embedded into a website such as an online course or blog. Decks can also be exported PowerPoints and Adobe PDFs. There are three privacy settings for sharing presentations. 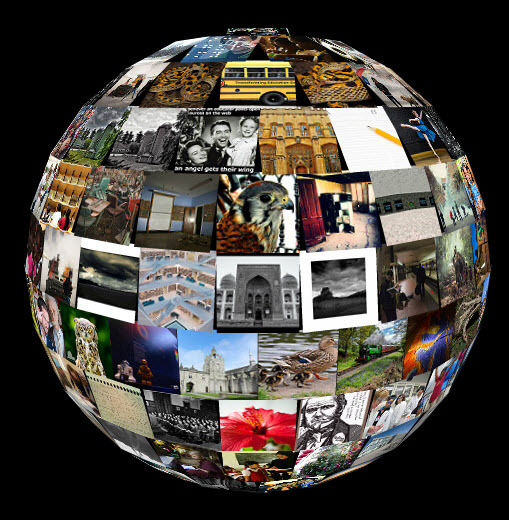 The Public setting allows presentations to appear in the gallery and search results. The Restricted setting allows only people with whom you've shared the link to view. The Private setting allows only you to view the deck. Decks can also be shared in a number of ways including Facebook, Twitter, email, blogs, Keynote, or shared directly by copying the URL. Haiku Deck lets the user create simple visual lessons or conference presentations. Suggested uses would include classroom presentations, digital storytelling, and group work. All images courtesy of Haiku Deck.